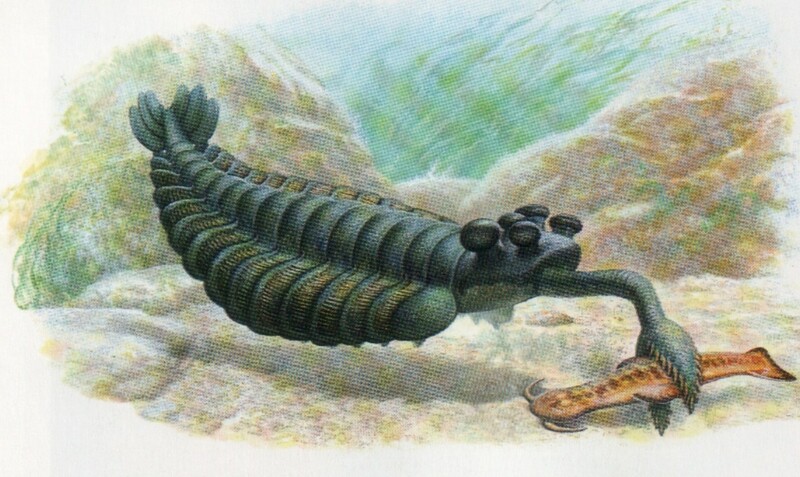 Opabinia is very rare Cambrian organism that closely resembled segmented worms. 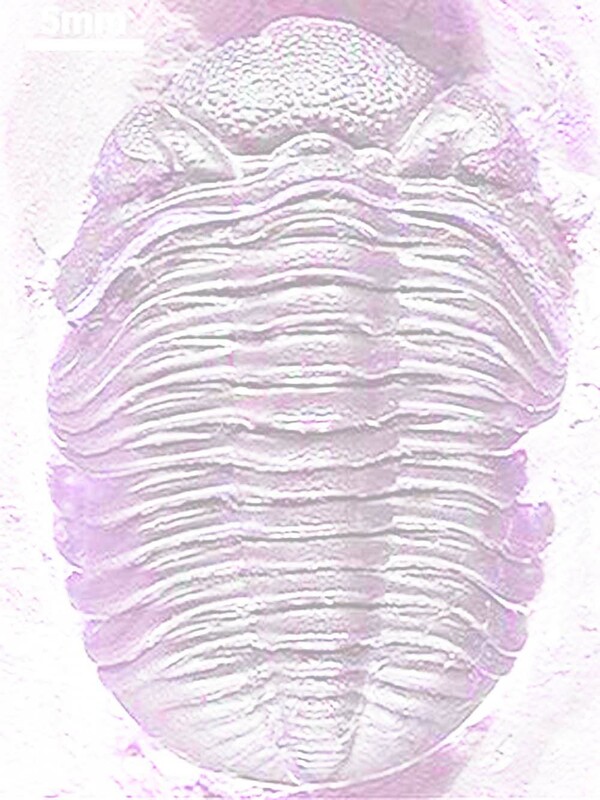 The few fossils found of these organisms lead researchers to believe that adult Opabinia did not grow more than three inches in length (UCMP 2010). The body consisted of many segmented portions that are believed to be fluid-filled. This would provide greater flexibility in their marine environment. 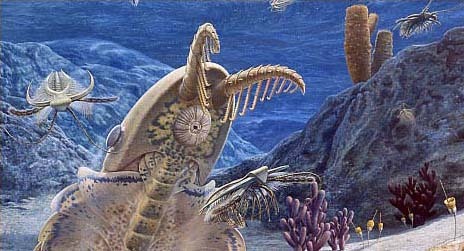 The cranial portion of Opabinia contained five eyes that allowed the organism to see predators from various directions (Whittington 1974). Opabina also had two very distinct and facinating structures. The first was their arm-like proboscis that they probably used for feeding. The second interesting structure was the ventral lobes situated on each side of the organism; probably used to propel them through the water (Smithsonian Institution 2010). The use of their proboscis possibly suggests that they were bottom feeders; it may have allowed them to dig prey out of the ocean floor. The systematics of Opabinia are under debate; they may belong to a group called "Lobopods" that could be ancestral to Arthropods. University of California Museum of Paleontology. 2010. Understanding Evolution: Opabinia. Accessed February 2010. Smithsonian Institution. 2010. Burgess Shale: Opabinia regalis. Accessed February 2010. Whittington HB. 1975. The Enigmatic animal Opabinia regalis, Middle Cambrian, Burgess Shale, British Columbia. Phil. Trans. R. Soc. Lond. B 271: 1-43.